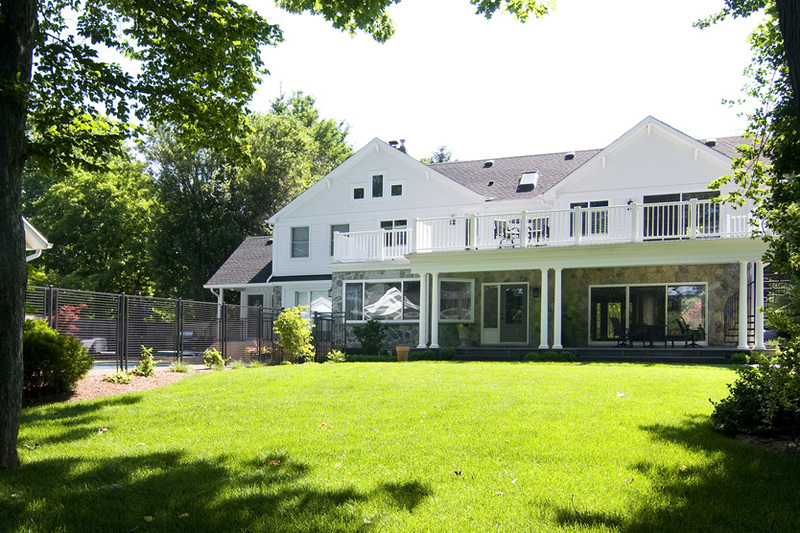 Suffering from a poorly constructed addition, this traditional farmhouse nearly doubled in size while preserving its natural 'fit' on the creekside property. 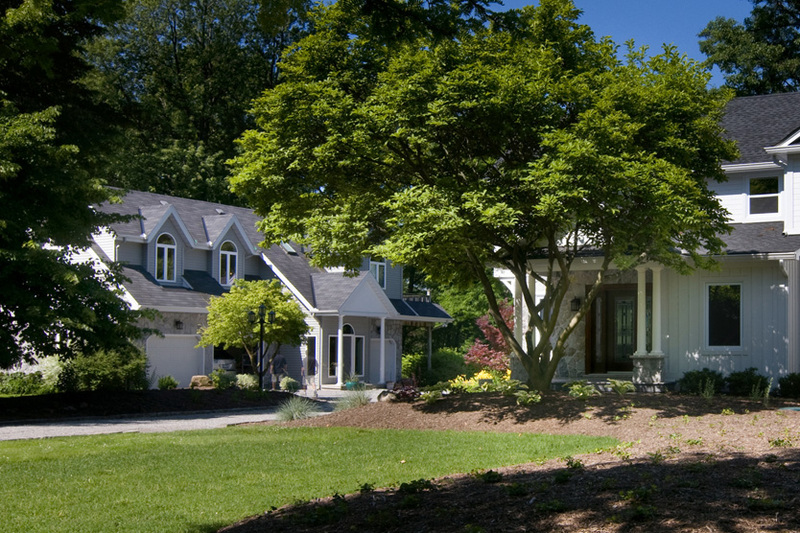 Traditional Cape Cod architecture and materials are featured on the home's exterior, carriage house and dual pool houses. 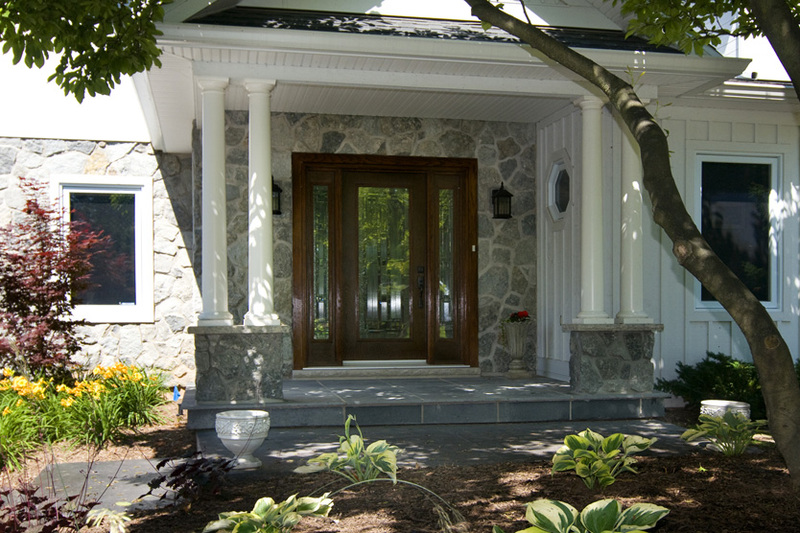 The impressive front entry features architectural columns, limestone and slate. The traditional 1500 square foot farmhouse had suffered from a poorly built addition which was demolished during the renovation. A new foundation was excavated and over 2000 square feet were added to the home. 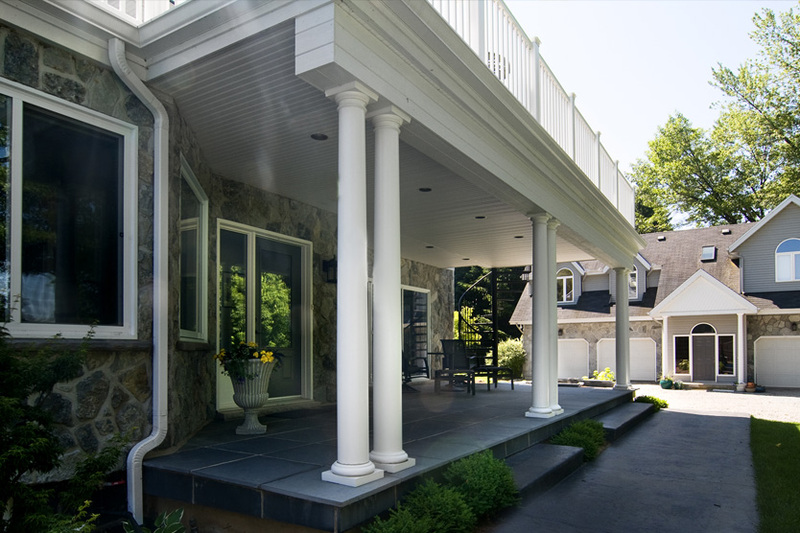 Architectural columns are repeated on the homes rear covered porch featuring dining area and expansive deck above. 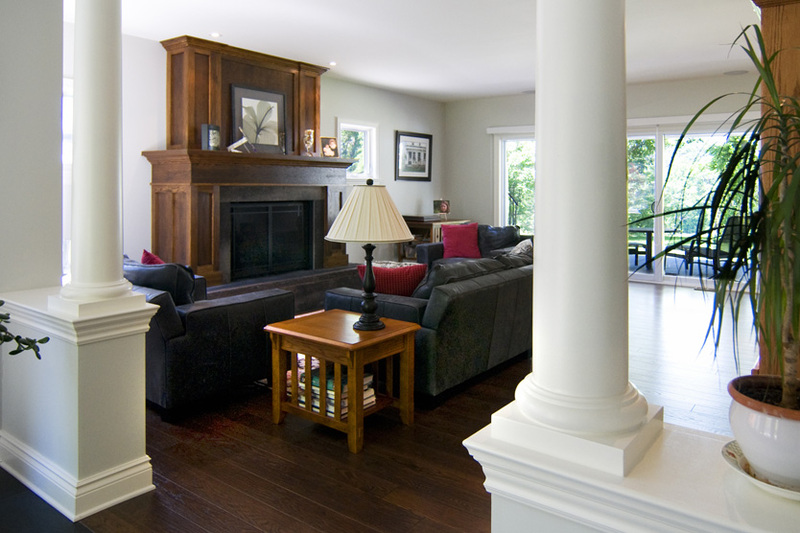 Traditional columns are repeated throughout the homes interior mirroring those used on the exterior. 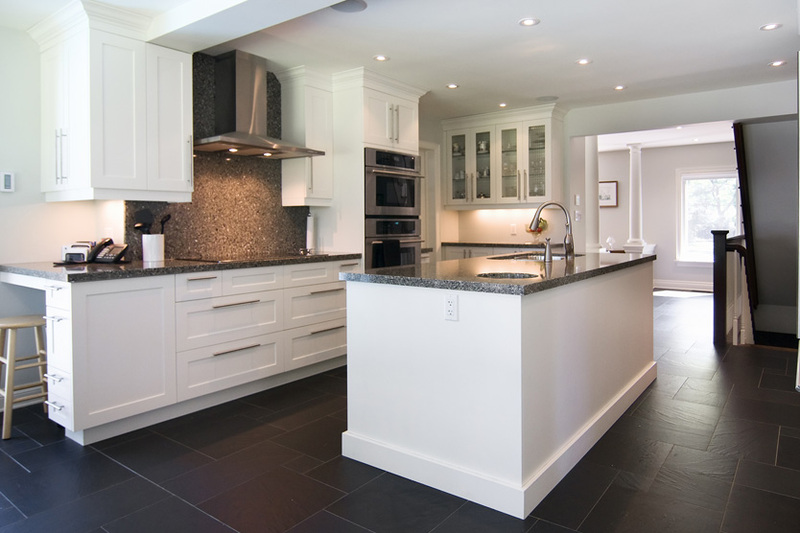 The bright kitchen connects to the home's front foyer and adjacent formal dining room. 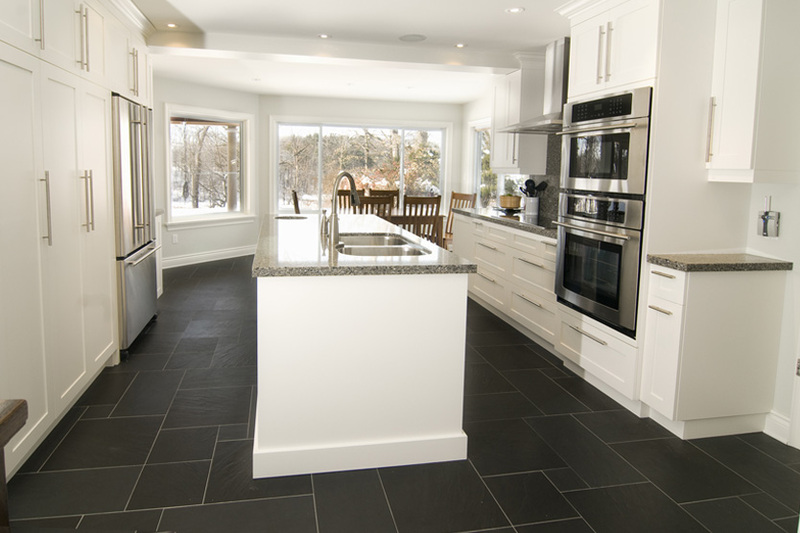 Large banks of windows to the home's rear yard flood the renovated kitchen area with natural light.